Vienna, Austria, November 21 2017: Nagarro along with their Assisted Reality platform partner Upskill and global experts from Google organized the third installment of Connected Worker 4.0 at the Palais Hansen Kempinsky in Vienna. Around 50 CIOs and business leaders from top Austrian companies participated in this exclusive event centered around bringing Assisted Reality through the connected worker experience. 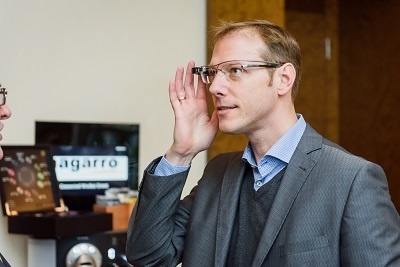 "There is huge interest in this technology from various companies, cutting across all industries, from logistics and manufacturing to service technology and healthcare and some interest even in completely customized solutions," says Damianos Soumelidis, Managing Director of Nagarro Austria. Representatives from well-known Austrian companies such as Andritz, KTM, Hoerbiger, ÖAMTC, ÖBB, Flughafen Wien and Post AG were part of this event. They were welcomed with an Assisted Reality Live experience at the check-in desk and registered via Google Glass. 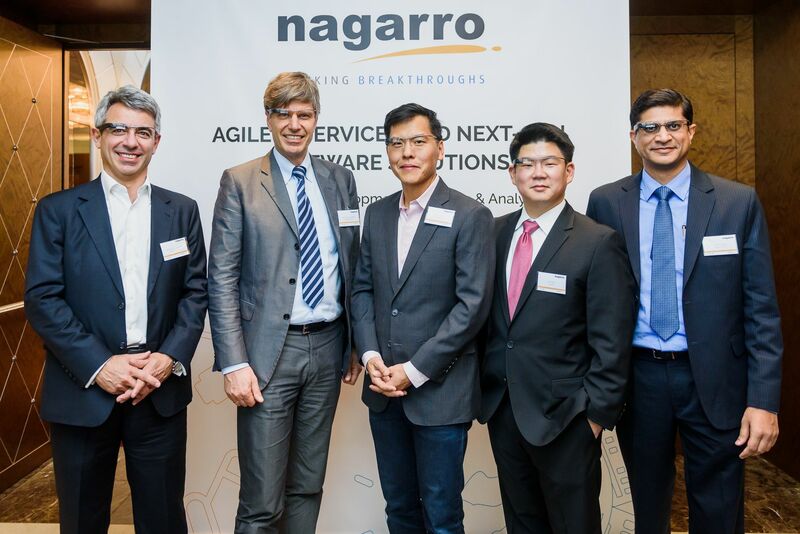 As a certified partner in the field of Smart Glass and a Google Cloud platform partner, Nagarro brought together a global expert group on Assisted Reality and Machine Learning to this event. Keynote speakers included James Lee – Head of Sales, Glass North America and Europe from Google; Jay Kim – Chief Strategy Officer at the Assisted Reality platform provider Upskill; and specialists from the Manufacturing and Industry 4.0 domain represented by Umang Garg – Global Practice Leader, Industry and Automation, Nagarro. With inspiring sessions that included examples from Upskill’s work with clients such as Boeing where the production staff is working with Google Glass and a dedicated demonstration area showcasing the Connected Factory and Connected Vehicle scenarios set up by Nagarro, the event brought home the importance of Assisted Reality in the future of all industries. Nagarro is a global IT company focused on software development, cloud technologies and transformation projects for Industry 4.0 solutions. The group manages its Cloud Competence Center in Austria, which acts as a worldwide consulting and services center. Nagarro's customers include companies such as Lufthansa, Siemens, BMW, GE Aviation, ANDRITZ, KTM and Hoerbiger as well as local market leaders such as A1 Telekom, Gourmet, Heinzel, Casinos Austria and Österreichische Bundesbahnen. Nagarro employs approximately 4,500 experts in 23 offices worldwide. To know more, visit www.nagarro.com. Upskill is the market leader in enterprise software for augmented reality devices in industrial settings. Trusted by the world’s greatest companies, such as GE and The Boeing Company, both investors, Georgia Pacific, and many others, our technology enhances the capabilities of hands-on workers to measurably and immediately improve business operations from the factory to the warehouse to the jobsite. With our industrial platform, Skylight, workers can be connected to the information they need to do their jobs with greater efficiency and fewer errors, enabling businesses to become more agile and competitive. To learn more, visit upskill.io.